The second phase of Daleks history. For many years it was believed that the Dalek race had come to an end in the Dalek civil war. The last Dalek chronicle discovered in the 1960’s by David Whitaker said that the creatures had seemingly been driven to extinction, when their archenemy the Doctor kicked off a war between the humanized and regular Daleks. In the 1970’s however Terry Nation discovered yet another Dalek chronicle (which also coincided with supposed sightings of Daleks at a peace conference.) A small sensation began around the creatures once again and the hunt for many more cubes would soon continue for the rest of the decade. Whilst it was always known that the Daleks had time travel abilities these cubes helped shed some light on how they had been able to truly master the 4th dimension. They also gave further details on how our future would be entwined with these metallic monsters. The end of the war that nearly exterminated the Dalek race forever. The Dalek civil war had gone on for many years. Their entire city had been levelled, the Emperor’s casing had been destroyed and millions of Daleks had been exterminated. Nevertheless by the end of long and bloody conflict the non humanised Daleks were finally beaten and thus the “pure” Daleks could begin rebuilding their city as well as restarting their war against all other life forms. The Emperor had survived even though his casing had been destroyed. Nevertheless he was placed on a life support machine and would be out of action for many years, during which time a Supreme council was established to rule the Daleks in the Emperors place. 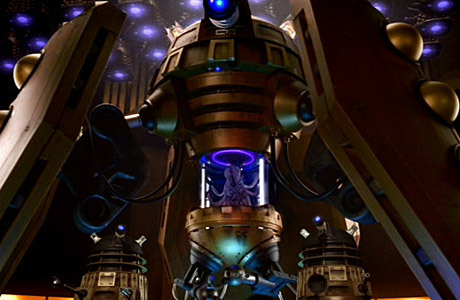 The Supreme Council was led by a large black and gold Dalek named the Dalek Supreme. The Dalek Supreme, leader of the Daleks whilst the Emperor was recovering. Not all of the humanised Daleks had been destroyed. A small group ironically lead by the very original humanised Daleks, Alpha, Beta and Omega had managed to flee Skaro, eventually settling out of the regular Daleks reach on the planet Kyrol. One humanised Dalek meanwhile was allowed to live among the regulars. Though infected with human DNA this Dalek nevertheless sided with the regular Daleks. It wished to gain power for itself and it longed to be a part of a race as powerful as the Daleks had once been. It did have human emotions, but they were emotions such as greed and personal ambition. The very worst human emotions. It betrayed the other humanised Daleks, which ultimately is what led to their defeat and became a part of the regular Dalek race. The Dalek did not let on to the rest of its kind that it was humanised, fearing that they would either exterminate him or recondition him. It also secretly plotted to take control from the Supreme council. Eventually however as the Daleks began to expand outwards from Skaro this humanised Dalek would soon discover that it enjoyed inflicting pain on lesser life forms. The Daleks had always tortured their victims, but it had only ever been to break their spirit or for information. They did not take an active pleasure in it as the concept of joy or happiness was alien to them. This humanised Dalek however however relished in torturing his victims as he, due to his humanity could experience emotions such as happiness. Nothing made him happier than protracting his enemies suffering for as long as he possibly could. Eventually he would rise to the rank of Dalek Inquister general and would later be put in charge of the Dalek death camps. The Dalek Supreme appointed him this position due to his brutality. Though he was a little surprised at his behaviour, he nevertheless believed that the Dalek was useful in provoking fear among their enemies. Dalek X described as “the devil in Dalek form” was a true monster that combined the very worst elements of the human and Dalek races. The fact that Dalek X took a name caused the other Daleks to look on it with suspicion but it did not matter to Dalek X who had risen up the ranks to the point where he answered only to the Supreme Dalek. Even the Supreme Dalek did not like Dalek X, but again he kept him around because he realised how useful he was in inspiring fear. It was the worst nightmare of every creature in the galaxy to end up in Dalek X’s torture chambers. Dalek X would be placed in a harder casing which reflected his rank, and he had a massive claw attachment with which he could use to disembowel his victims and tear them apart. The New Dalek empire was small. At first after rebuilding their city they could only conquer small primitive planets. One such world was Spirodon. Though conquering Spirodon proved a little bit more problematic due to the fact that the inhabitants were invisible the Daleks ultimately managed to conquer the planet by launching a plague missile onto the surface of Spirodon. The Daleks had the cure to the plague and thus the Spirodons were forced to surrender. The Daleks would force them to wear cloaks in order to identify them. The Daleks also conquered another race during this time the savage and ape like Ogrons. The Ogrons and the Spirodons. Among the first races to fall before the new Dalek empire. The Daleks simply did not have the power to take on highly advanced races including even humanity who now had a massive space faring empire. The Dalek Supreme believed that the Daleks due to the war had fallen behind their main enemies such as humanity. He feared that they might never be able to catch up to them again. Thus he decided to change the course of Dalek history itself. The Daleks once again on the Dalek Supreme’s orders would begin to pour all of their efforts into time travel experiments. They kept many of the lesser races they had conquered alive as they needed all the slave labour they could get. They mined worlds like Spirodon and the planet of the Ogrons for all they were worth to build their new and improved time machines. Their scientists also began building machines that they hoped could extract other time vessels from the vortex. It ran along the same principal as the one they had earlier used to track the Doctor’s TARDIS throughout time and space. They obviously hoped to try and extract the Doctor from the vortex and exterminate him. During their second occupation of earth the Daleks come face to face with an old enemy. The Daleks soon discovered what looked like an alternate time line to the current one. Paradoxically existing side by side with the one they inhabited. In this time line earth appeared to be a barren world 100 years before the Daleks first invasion. The Daleks tried to break into this alternate time which proved to be very difficult. Indeed most of their ships that tried perished in the vortex. What the Daleks discovered was that there are a near infinite number of timelines that can spring from a single moment. Obviously only one comes to pass, but these alternate time lines can still be found if one were to travel through the vortex. Almost like ghosts, these time lines could be made to happen, if one were to make changes at the right points. Actually being able to view these alternate timelines even in the vortex was said to be a one in a billion chance. One group of Daleks led by a gold Dalek who was the second in command of the Supreme Council managed to break their way into the alternate time and the alternate earth. They discovered that there were very few humans left in this alternate timeline. In this version of events mankind had been involved in a third world war which had virtually destroyed most of the life on the planet. Only a few humans remained and they were easily conquered by the relatively small Dalek task force, and their Ogron servants, who had journeyed through the vortex with them. With this alternate earth under their control suddenly this alternate time became the dominant one. For whatever reason the Daleks invading the earth had now completely changed the course of human history. Now mankind rather than following the original history where they had become a major space power, and then were conquered by the Daleks, but eventually managed to repel them, instead followed this alternate version where mankind in the later part of the 20th century became involved in a third world war that eventually destroyed all life on earth apart from a few desperate groups of people before ultimately being conquered by the Daleks. Thus the Daleks had succeeded in changing their history for the better. In the new time line these Daleks on earth soon contacted the other Daleks who were spreading their empire across the universe. 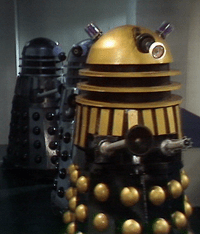 These Daleks were Zolfian and Yarvelling’s Daleks and different to the Daleks who were ruling the earth. Nevertheless the Daleks who ruled the earth did not attack them as they were outnumbered. Instead they told them to free the other Daleks who were trapped under the bunker. Eventually Davros’s Daleks who were able to reproduce through cloning several million Daleks within a day; were able to outnumber Zolfian and Yarvellings Daleks and just like in the original timeline force them to become like them. The unified Dalek race in this time line aided by unique resources that only the planet earth could provide create new and powerful weapons and used them to conquer more planets. The Dalek Empire grew and grew and soon overwhelmed the entire mutters spiral and the whole Andomeda galaxy and many more solar systems and planets. Their empire came to dwarf even the Sontaran empire. Earth remained under the control of the original Daleks and their Ogron servants. Mankind was hearded up into work camps and forced to help mine the resources out of the planet. They suffered terribly with the Daleks being even more brutal than the last time they had occupied the earth in an effort to completely and utterly prevent another uprising. Their brutality however reached such a point that their human prisoners began to die from various means, being tortured, starvation, dehydration, exhaustion etc. Thus in order to prevent this from happening, as the Daleks still needed them as a slave force the Daleks began to use human beings to help police their labour camps. These human beings were called controllers and though they were treated better than the people in the labour camps (who were still even with the controllers were treated appallingly) they were nothing more than superior slaves themselves. The gold Dalek known as the Chief Dalek was the ruler of the earth. The Daleks ruled over the earth for many years and despite their attempts at crushing humanity a resistance movement did spring up. These rebels were largely ineffective however and it soon became apparent to them that they would never be able to drive the Daleks from their home planet. Thus ironically much like the Daleks before them they sought to change their own history. They heard from their spies that the Daleks had time travel technology. Some of their spies had managed to infiltrate the Dalek high command by taking the place of their human servants that policed the camps. With one of these spies managing to get some small pieces of time travel technology and even some weapons to the rebels, the rebels travelled back to the 20th century in the hopes of changing things for the better. The third world war that had caused the end of human civilisation had been started by a man named Sir Reginald Styles. Styles had been a politician who gathered all of the worlds leaders together for a peace conference to try and prevent a war. Unfortunately he was in fact a maniac who blew up his house where the peace conference was being held, killing all of the world leaders and himself. The rebels wanted to kill Styles before he could do this. Little did they know that they were playing straight into the Daleks hands. The Dalek scientists back on Skaro had discovered what had caused the alternate timeline to become the main one. It was ironically the rebels themselves. When they travelled back to kill Styles one of their number had detonated a bomb in Styles house unknowingly whilst the peace conference had been going on. Ironically it was actually he who killed all of the delegates and kick started the war not Styles after all. History had simply recorded it as being Styles as no one was aware of the presence of the rebel whose name was Shura, but Styles had in fact been a good man after all who could have prevented the war. This had been why when the Daleks arrived they caused the alternate time to become the main one as their presence on earth is ultimately what caused the humans to travel backwards in time and kill styles and unknowingly kick off the third world war that changed human history for the worse and Dalek history for the better. The Daleks allowed the human agent (whom they had spotted quickly) to give the time travel technology to the humans and allowed the humans to think they had outsmarted them. 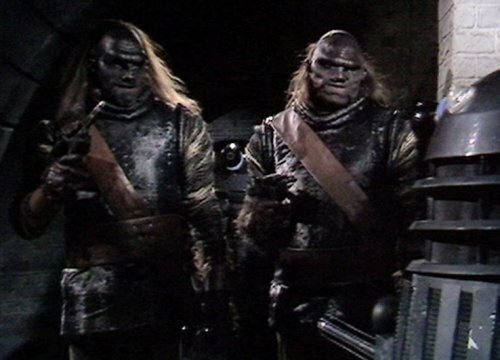 They still sent a squad of lumbering Ogrons back to fight them in Styles time however so as not to make the human rebels suspicious that the Daleks wanted them to kill Styles. The Daleks plan would have most certainly worked and they would have continued to rule over the earth had it not been for their archenemy, the Doctor. The Doctor at that point had been exiled to earth by his own people the Time Lords. Being forced to work with UNIT an organisation designed to track down extra terrestrial threats to mankind, the Doctor and UNIT would soon be called in to investigate Styles house when there were reports of ghosts and ape men around the premises. The Doctor and his assistant Jo Grant soon discovered that the ghosts were in fact the rebels from the future and the ape men were the Ogrons. After a stand off with the rebels, Jo Grant was accidently sent forward into the future. Arriving back in the Daleks base, the Doctor soon followed the rebels back to their own time to try and find her. Horrified to see the earth under the control of the Daleks, at first the Daleks did not recognise their old enemy as he had regenerated since he last met them. Their controller soon informed them however of a member of the rebels called Doctor. With the mere mention of the name being enough to send them into a panic, the creatures proceeded to torture the man they suspected of being the Doctor. Though he held out for several hours eventually the torture became too much and he cracked and the Daleks were able to discover that he was their greatest enemy after all. The Doctor is tortured by the Daleks in the future. The Gold Dalek prepared to kill the Doctor but the Controller managed to convince him not to. The Controller said to the Gold Dalek that he could get information about the rebels from the Doctor. Though the Gold Dalek said that he would force the Doctor to talk through torture the Controller pointed out that he had already almost tortured the Doctor to death just simply getting his identity from him and that he would most likely die before he told them anything. He assured the Gold Dalek that he could find out more about the human rebels and what exactly they knew about the time paradox, whether they knew not to kill Styles or not thanks to the Doctor. The Gold Dalek reluctantly agreed to release the Doctor for one hour into the Controllers care after which if he did not get any information from him then he would resume his torture of the Doctor. The Doctor refused to tell the Controller anything. He held the Controller in the utmost contempt declaring that he was a traitor to his kind. The Controller however argued that he was doing all he could to help his kind. He said that no one could fight the Daleks as they were simply too powerful but that he was making things easier for the people in their camps. He even argued that he had saved lives. The rebels meanwhile soon launched an attack on the Dalek’s base. With the Daleks having not been expecting this they were caught completely off guard. Even then though most of the rebels were still killed, but they nevertheless managed to rescue Jo and the Doctor, who despite his disdain for him prevented the rebels from killing the Controller. With the Doctor in the custody of the rebels the Daleks now began to genuinely worry that the rebels could erase their version of history. They ordered the Controller to capture the Doctor and warned him that if he failed them again he would be exterminated. The Doctor meanwhile soon worked out that it was the rebels who had actually created their own timeline and quickly left with Jo to try and find a way to correct history. Unfortunately he was soon ambushed by a gang of Ogrons lead by the Controller. Fortunately the Controller soon released the Doctor. 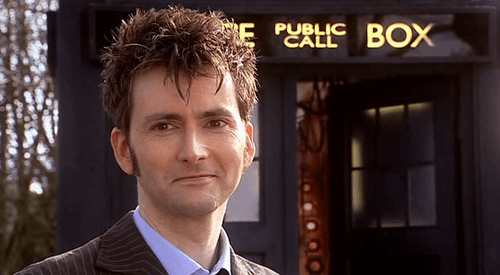 He came to believe that the Doctor could stop the Daleks as the only time he had ever seen the Daleks scared was when the Doctor was mentioned. He also felt he owed the Doctor as the Doctor had spared his life. Realising that the Doctor was planning to change history, the Gold Dalek decided to travel back to kill Styles and the Delegates himself. Fortunately the Doctor managed to get back before him and warned Brigadier Alistair Gordon Lethbridge Stewart of the Daleks impending attack. The Brigadier managed to get all of the delegates and Styles himself to safety whilst the UNIT troops led by Sergeant Benton and Mike Yates tried to fight off the Dalek and Ogron squad that had arrived. The UNIT soldiers proved to be no match for the Daleks despite outnumbering them greatly and the Daleks proceeded to slaughter their way through them. The Daleks exterminate their way through UNIT’s forces effortlessly. The Doctor meanwhile had managed to convince Shura not to explode the bomb, however as soon as Shura saw the Daleks arriving he asked the Doctor to let the Daleks into the house so that he could use the bomb himself. With Styles and the others long gone the Doctor reluctantly agreed to allow Shura to sacrifice himself. The Brig soon called his men the few who were left to flee and the Daleks entered the house expecting to find Style’s and the Delegates instead they found Shura who quickly detonated the bomb killing the entire Dalek squad. With Style’s and the rest of the Delegates saved, the conference went ahead as planned and history was restored to its rightful course where there was no World War 3 and the Dalek invasion of earth was ultimately repelled. Though the Daleks were foiled it had been at a great cost. 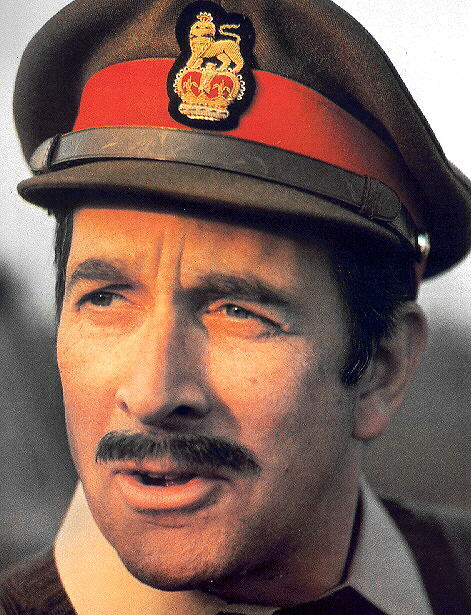 So many young men had been butchered by the Daleks that there were enquiries into Brigadier Lethbridge Stewart’s competency as the head of UNIT. His superiors wondered why he had lost so many men against such a few aliens. None of them were of course aware just how much more dangerous the Daleks were than anything UNIT had faced before, and sadly the Dalek invasion would remain a huge stain on the Brigadier’s career and reputation for many years to come. Losing so many young men to just a few Daleks would haunt Lethbridge Stewart for many years to come. The Gold Dalek meanwhile was in fact the only survivor of the attack. It had been badly damaged by the explosion, but its much more durable casing would allow it to ultimately survive. Low on power of the blast UNIT believed the Gold Dalek to be dead and placed its supposedly dead body alongside the other pieces of Dalek tech and remains from the attack in the black archive. Unfortunately whilst in the archive the Gold Dalek managed to steal a piece of alien time travel technology. Knowing that it was too low on power to try and use any of the alien technology in there to conquer the planet, it managed to make one trip using the time travel tech back to its own time on Skaro. There its casing was repaired and it proceeded to share with the Dalek Supreme how their invasion had been foiled as well as the knowledge of the Doctors new face. With time having been reversed the Daleks still continued on with their time travel experiments. Eventually they found a way to extract another time vessel from the vortex. Unfortunately for them it was not the Doctors. They instead snatched that of the Master another renegade time lord. The Daleks initially believed the Master to be the Doctor who had simply changed his face again. The Master however assured them that that was not the case and that he could help them. The Dalek Supreme was highly skeptical, but the Master managed to prove what he said by giving them vital knowledge and equipment something the Doctor would never do under even the most extreme circumstances. The Master told the Daleks all about his own people the time lords. This had been the first time the Daleks had ever found out about the time lords having never known anything about the Doctors race before. The Master in order save his own life shared many of the secrets of the time lords with the Daleks and gave them access to highly advanced Time Lord technology which allowed their empire to expand forwards conquering more advanced worlds. The Daleks also learned of fixed points and moments that were in a flux thanks to the Master. Fixed points are moments that always have to happen. If you were to try and change them directly then you would create a cosmic catastrophe. However moments that were in a flux were weak points, chinks in the chain of times armour that if you were to exploit them then you could change history. For instance the Second World War is a fixed point. If you went back and shot Hitler in 1939 then you would be breaking a fixed point, but if you went back to many centuries earlier and killed one of his ancestors when time was in a flux then you could erase Hitler and thus possibly the second world war itself from history. This knowledge would come in very useful for future Dalek incursions into earth and other planets past. Within a few decades the Dalek Empire was a force to be reckoned with again thanks in a large part to the Master and soon the Daleks set their sights on their old enemy, humanity. The Master again in a further effort to save his life (the Master who was the Daleks prisoner was always having to come up with new ways to prove he was useful to them to avoid extermination) promised them that he could cripple humanity all on his own. The Master would play on humanities fear of a rival power the Draconians. The Draconians were a race of intelligent reptiles. They had forged a mighty empire through space too and they had very nearly gone to war with humanity. Both races however had now established a frontier in space, but things were still very tense between them. The Master planned to exploit this by sending Ogrons to attack both Earth and Draconian ships. Thanks to a hypnotic fear device the Master had constructed the humans would see the Ogrons as Draconians and the Draconians would see them as humans, causing both sides to think that they were attacking each other. The Master hoped that this would provoke a war after which the Daleks could emerge and take over easily. Whilst the Daleks allowed the Master to carry out this plan they also had their own master plan for attacking the earth and Draconian Empire’s. On Spiridon which had become their second main base of operations after Skaro itself the Dalek scientists had been busy trying to create a plague so lethal that virtually no life could survive coming into contact with it. In addition to this the Daleks were also preparing an army of several thousand Daleks beneath the planet to attack other worlds. Finally as if that wasn’t enough the Daleks were also planning to master the secret of invisibility too from the Spiridons. Unfortunately for the Daleks and the Master, their archenemy the Doctor would soon arrive alongside Jo Grant, with his exile to earth having since been lifted by the time lords after he defeated Omega. The Doctor initially was caught up the escalating conflict between the Draconians and the human race, but eventually he was able to convince both the Draconian emperor and the Earth President that there was a third party trying to provoke a conflict between them. Unfortunately however in order to fully convince the people of both planets and prevent a war the Doctor had to to get proof and so he and a group of earth men and the prince of Draconia searched for the Ogron planet. 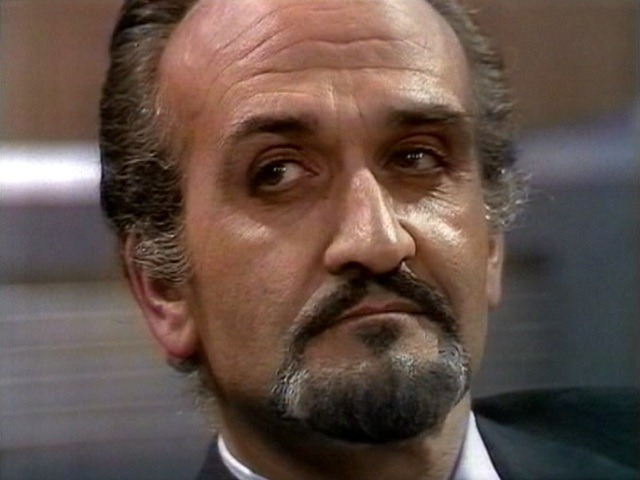 Though they managed to find it, the Master who also held Jo Grant prisoner was able to successfully lure the Doctor into a trap where he was captured by the Daleks. The Doctor had not known that the Master was working with the Daleks and was genuinely caught off guard when they arrived. Though many members of the earth team were gunned down in cold blood the Draconian Prince and the leader of the crew managed to escape as did the Doctor and Jo, who quickly made their way to the TARDIS which the Master had on the planet. The Master however was able to injure the Doctor by shooting him with an Ogron blaster just before he managed to escape. Before he blacked out the Doctor managed to send a telepathic message to the Celestial Intervention Agency on Gallifrey. The CIA had heard stories about the Daleks before but they had dismissed them as just another race of would be conquerors and many of them were unaware that they had returned after the Dalek Civil war. After hearing the Doctors message the time lords soon began to look into an alternate time where the Daleks where able to launch the plague they were creating on Spiridon as well as master the secret of invisibility. In this time line the Daleks completely and utterly exterminated the human race, as well as the Draconians and billions of other species across the entire Galaxy. Feeling that they could not turn a blind eye to such destruction, the CIA guided the Doctors TARDIS towards Spiridon in order to prevent this alternate time line from happening. Unfortunately when the TARDIS landed on this hostile planet the Doctor was completely unconscious and Jo unaware of where they had landed left to get help for him. Spiridon was inhabited by hostile vegetation life that poisoned Jo. With her hand literally beginning to rot, Jo was soon discovered by a group of Thals who took her into their ship to protect her. The Thals had spent many centuries living underground. Having built up a full society the Thals for many years were unaware of what was going on above they were too scared too take on the Daleks. Ironically in doing so they missed a golden opportunity to take the monsters out when they were weak during the Dalek civil war. After several years however the Thals would finally muster up the courage to launch an attack on the Daleks again. Below the ground they had been able to intercept transmissions across space. The Daleks had absolutely no idea that the Thals had survived and those the Thals initially were able to work in secret. The Thals were later able to discover space travel by capturing two Dalek ships which they were later able to construct two crude replica’s of that they sent to Spiridon. They knew from the Dalek transmissions that they had a base there where they were planning to create a plague that could potentially destroy billions of worlds. The first Thal ship had crashed on Spiridon where it had been quickly detected by the Daleks who though surprised to see that Thals had survived nevertheless sent a Dalek death squad to find it. The Thals meanwhile rescued the Doctor from the TARDIS that was also being attacked by hostile vegetation life. Unfortunately with Jo left behind in the Thal ship the Daleks soon found it and prepared to destroy it. The Doctor having heard that the Jo was still in there pleaded with the Daleks not to, but they naturally ignored his pleas and shot him, though they only stunned him as they wished to interrogate him further. The two Daleks then proceeded to completely destroy the Thal space craft, literally melting it into nothing with their death rays. The Daleks took the Doctor deep into their city for questioning but he soon managed to escape with the aid of another Thal prisoner. Little did the Doctor know that Jo Grant had in fact been rescued by a Spiridon named Wester. Wester had been part of a resistance movement and not only did he pull Jo from the ship before the Daleks destroyed it but he also gave her a cure for the poison that was slowly killing her. The Doctor meanwhile would soon be rescued from the city by both Thal teams with the second having now landed on Spiridon too. Though there were some casualties along the way. The Doctor managed to sneak back into the city with a group of Thals by using the Spiridon’s cloaks going in disguise as the Spiridons whilst another Thal hid inside a Dalek casing. Unfortunately it didn’t take long for the Daleks to notice their ruse and the Doctor and his Thal allies were forced to go on the run. Wester meanwhile heroically sacrificed himself to stop the Daleks. Just as the Daleks has finished creating their plague Wester opened it before they could immunise themselves. In order to prevent the plague from wiping out the rest of their kind out, these two Daleks were forced to seal themselves in the room where they had created it to prevent the virus which was air borne from escaping. Thus they were trapped and with them the secrets of the Daleks new plague they had spent years creating. The Doctor meanwhile aided by the Thals and Jo was able to place a bomb near an Ice Volcano which was next to the Dalek base. This subsequently caused the Volcano to erupt burying their entire army and destroying their base too causing them to lose all of their secrets of invisibility as well. The Dalek Supreme had arrived on Spiridon to oversee the final phase of the operation, but unfortunately for him the Thals were able to steal his spacecraft and leave him and his followers stranded on the planet whilst the Doctor and Jo managed to slip away in the TARDIS. The Dalek Supreme was unhappy with his subordinates failure. The Daleks plans to destroy both Draconia and earth had ended in a disaster for them. Not only had they failed to use their plague, but both Earth and Draconia had now been alerted to their presence and whilst the Master had hoped to pit them against one another, his plan had ultimately brought them closer together than ever before. Both empires soon waged war on the Daleks, and began the Great Dalek war. The Daleks are forced to go to war against their old enemy humanity a second time. The Great Dalek War was one of the bloodiest events in the history of our Galaxy. It saw the destruction of thousands of worlds and and the massive civilian and military casualties. It lasted for centuries and whole generations who never knew what it was like to live under peaceful times came and went during the conflict. It is believed that over 200 billion humans alone were killed in the conflict, though some estimates place the figure even higher! Though the Daleks plans to provoke a war and use the a new virus to exterminate all life in the galaxy had failed their army was still strong enough to take on the Earth and Draconian empires, due to the many worlds they had since conquered and the advanced technology they had been given by the Master. The Master throughout the early years of the war still continued to help the Daleks. Eventually however as time went on he began to grow more and more scared that the Daleks would dispose of him and eventually he betrayed them. He secretly contacted humanity and gave them vital secrets about the Daleks defences. This allowed humanity to bombard the planet Skaro with bombs. During the bombardment the Master was able to escape to his TARDIS which he used to flee Skaro. The Gold Dalek who had been monitoring the Masters activities the entire time had failed to notice his treachery and demanded he be tracked down and exterminated. Unfortunately for the Daleks the Master having had time to study their technology had found a way to block the Daleks from tracking him. The Doctor had similarly found a way to block them chasing him which was why they had not been able to do so again and why they had snagged the Master’s TARDIS instead as it was the only time vessel they could detect in the vortex. However whilst they were unable to snag the current Master they were able to catch a future incarnation of the time lord. This version of the Master had lost his TARDIS and was on his own and vulnerable. With no way of protecting himself the Daleks were able to capture him easily. The Daleks had found a way to track individual time travellers as the Daleks had learned to track background radiation that is only found in the vortex and that time travellers pick up. Whilst the Master had found a way to block this too, unfortunately the Master at this point had nothing to protect himself. Again The Master attempted to bargain with them and the Daleks decided to put him on trial to see whether or not it was worth keeping him around for his useful knowledge. Ultimately as his betrayal had led to a significant drawback for the Daleks they decided to kill him. They vaporised his body into nothing, though a few tiny remains survived which would later be collected by the Doctor in his 7th incarnation. It would also later be discovered that his mind had survived as a disembodied spirit, but that is another story. The Master’s past catches up with him when the Daleks sentence him to death. The Masters betrayal had proved to be a setback for the Daleks but they still nevertheless managed to recover and continued to fight humanity. They had to face overwhelming opposition with several races joining the side of humanity and Draconia. The Thals also did their bit to help humanity. The Thals had by this point come to dismiss earth as nothing more than a legend, but after the Thals experience on Spirodon they had come to see that it existed after all. From their underground base which the Daleks still did not know the location of, the Thals continued to intercept their messages and broadcast them to humanity and the Draconians. Eventually the Daleks however did manage to find the Thals base and they butchered them. They laid waste to their whole underground civilisation and exterminated thousands of them. A few Thals escaped to the surface and sent a distress signal to the humans. Though most of them ignored it, one ship believing they owed the Thals for helping them made a perilous journey to Skaro and managed to save the last few Thals. The Thals were then sent to live on a human colony though they vowed that one day they would return and re claim their home planet. The Daleks also had to deal with rebellions and attempted rebellions on other planets that they had taken over too. During the later years of the war the outer and smaller colonies in the earth empire would suffer the most. The main defence concentrating on protecting earth itself the centre of the empire above all else and many smaller outer colonies would be conquered by the Daleks. The Daleks would often conquer these colonies even if there was no strategic value to them simply because they could serve as examples of the Daleks superiority to mankind. The Daleks would brutalise the humans on these colonies and broadcast it to the rest of the universe. 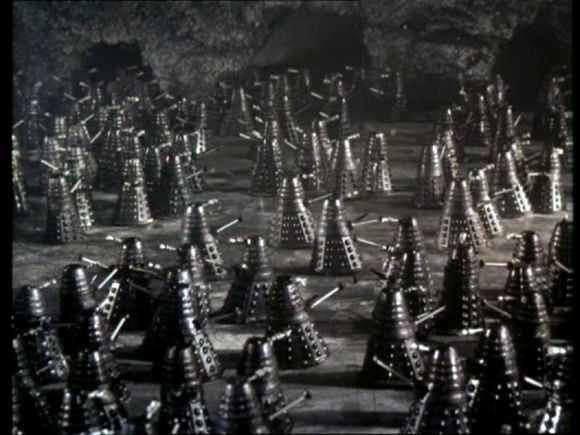 Showing the humans on the colonies endure unimaginable torture and suffering at the hands of the Daleks, whilst the main human resistance was unable or in some cases unwilling to waste resources on helping them, this only served to crush several of their allies faith in humanity as well as several humans faith in their own leaders. It was because of this that the Dalek Bounty Hunters appeared. Abslom Daak, the most famous of all the Dalek bounty hunters. The Dalek bounty hunters offered to protect these outer colonies though at the same time many of them only offered to kill Daleks for money. They would often have to slaughter all of the Daleks on a colony which they could only do in teams, though even then they would have to supply Dalek eye stalks as proof. The Dalek bounty hunters would become seen as heroes helping the planets and colonies that the lesser worlds had left to the Daleks. Despite this however many of them were anything but. Many of them were self serving criminals whose morality was not that much better than the Daleks themselves. By far and away the most successful Dalek Bounty Hunter however was Abslom Daak, he would become known simply as Dalek killer. Psi see’s an artists illustration of Abslom Daak among the list of the universe’s greatest criminals. Daak was a notorious criminal before he became a Dalek bounty hunter. He had been convicted of 23 charges of murder, piracy, pillage, massacre and other crimes too horrible to bring to the public’s attention. He was given a choice of either vaporization or life as a Dalek killer. The earth government by this stage had found a use for the Dalek bounty hunters as not only could they protect the outer worlds but they could also be a good use for the ever growing criminal population of the galaxy which came as a result of the fact that the empire was being fractured by the war. Daak naturally chose becoming a Dalek fighter. He proved not surprisingly to have a talent from it and on the planet Mazam he managed to single handedly destroy a Dalek task force. Whilst on the planet he met and fell in love with Princess Taiyin. He even managed to convince her to fight back against the Daleks. Prior to this the rulers of the relatively primitive Mazam had placated the Daleks who had taken over their world. Unfortunately this resulted in Taiyin’s extermination. Following this Daak’s crusade against the Daleks became personal.He vowed to exterminate every single Dalek in the entire galaxy. Daak became famous for his exploits against the Daleks. His weapon of choice was a massive laser chainsaw that could slice through a Dalek casing like tissue paper. Daak makes no secret of the fact that he enjoys destroying Daleks. Daak would later form a crew which consisted of a Draconian Prince named Salander, a human named Vol Mercurius and an Ice Warrior named Harma. They travelled the universe together in a ship called the Kill Wagon. Daak also kept the body of his lover Taiyin in suspended animation in the hopes that she could be revived. He encountered two different incarnations of the Doctor, the 4th Doctor and Sarah Jane briefly and later the 7th Doctor on the planet Hell. The Kill Wagon had crashed here whilst investigating Dalek activity. Daak and the Doctor discovered that the Daleks were mining a gas called helkogen that they intended to use to build a superweapon that could exterminate humanity. Ultimately Daak sacrificed himself to save both the Doctor and the entire human race by flying a Dalek hovercraft into the heart of their super weapon which destroyed it completely and seemingly killed Daak. Who killed all the Daleks? Who do you think? During the later years of the war the Emperor having finally recovered resumed his role as the leader of the Daleks from the Dalek Supreme. He had been placed in a much larger and more powerful casing too. During the war the Daleks soon began to investigate the mysterious planet Karn. Karn had once belonged to a powerful and mighty empire that had crumbled many centuries before the Daleks had even been created due to civil wars. Nevertheless the remains of their most powerful super weapon had been left on the planet. The people of Karn since the fall of their empire had gone on to become farmers, but one of the Masters of Karn remained behind. He scattered the super weapon of Karn. It could not be destroyed so he merely scattered it instead across the planet in the form of 7 crystals. As soon as the Daleks had heard of the weapon however they enslaved the population of the planet which they did with the aid of the native life forms the Clawrantulars. Fortunately the Doctor would soon be on hand to stop them. This however was not the Docto from our universe. It was in fact an alternate reality version of the Doctor. In this other universe the time lords of that reality had looked into a possible future and had seen that the Daleks from our reality would do something that would threaten every universe. Apparently the weapon that they hoped to assemble on Karn was more powerful than even they had thought. If used it would create a rip in the vortex itself which would eventually consume every universe. In order to prevent this catastrophe from happening the time lords sent their version of the Doctor through a rip between universes. The Doctor was not even aware of what was happening or that he was arriving in another universe. Upon arriving on Karn the time lords simply told him to retrieve the crystals. In doing so however he was shot by a Dalek which caused him to regenerate into his next incarnation. Just before he regenerated he managed to make his way to the TARDIS where in his delirium he took the TARDIS to earth. There he landed in the middle of a play. After staggering out of the TARDIS and onto the stage two members of the audience went on stage to help him. Jenny and Jimmy. The two would help the regenerating Doctor back into the TARDIS where once they entered it was quickly whisked away back to Karn by the Time lords so that this alternate version of the 4th Doctor could complete his mission. The three of them would soon explore Karn. Encountering members of a resistance movement along the way, though the Doctor was able to retrieve the crystals including one from the last Master of Karn the Daleks were later able to corner him and his companions and demanded that they hand over the crystals. Ultimately however the Doctor was able to defeat the Daleks by causing the ultimate weapon they had placed the crystals in to explode. Though the crystals were not damaged the Daleks entire base was destroyed, and the crystals were buried under tons of rubble. Having saved every universe and freed Karn from Dalek rule the Doctor took Jennie and Jimmy home, though he would later take them for more adventures before the Time Lords took him back to his own universe, with our Doctor having never been aware that there was another version of him running around. The Dalek Supreme was forced to self destruct for his failure in the Karn mission by the Emperor and his second in command a black Dalek took his place as the second in command of the new Dalek race. The Gold Dalek the previous second in command had been killed by Daak many years earlier. Dalek X was considered an abomination by the Emperor and was not made the second in command either. As the years rolled on the Daleks slowly began to lose the war. Despite being more advanced than any of the races they were facing they were simply outnumbered. In the final years of the war they made one last ditch attempt to try and beat humanity using the Arkheon Threshold. The Arkheon Threshold was a legendary schism in time in space which if opened could give a life form access to the entire time vortex itself. Even the time lords feared the Arkheon Threshold. The Daleks had discovered it in the early days of their second empire. They had set up a secret base on the planet and for centuries have tried to find a way to gain control of the Threshold. They finally discover that they can find it by extracting the planets core. Unfortunately once again their sworn enemy the Doctor would be on hand to stop them. This incarnation of the Doctor was from a much later point in the Daleks history. It was the 10th Doctor who had accidentally crossed his own time line. The 10th Doctor encountered a group of Dalek bounty hunters piloting the ship called the Wayfarer. Together they travelled to Arkheon as the Doctor suspected that the Daleks wanted to gain access to the threshold. As soon they landed on the planet however they were captured by the Daleks. The Doctor did not know that they had already found the planet. He believed that they were merely searching for it. With all of the bounty hunters captured, the Doctor was taken before Dalek X himself. Dalek X by this point had become the one Dalek that every Dalek bounty hunter dreamed of killing, yet at the same time he was also the one Dalek that they were all afraid of too. Dalek X proceeded to torture the Doctor for his own enjoyment. He simply wished to see how much pain he could inflict on a timelord and tortured the Doctor for many hours on end. After he finished the torture session Dalek X told the Doctor that after they had extracted the planets core they would find the Threshold using a Chronon collider which he intended to power using the Doctors own TARDIS as a control element. Though the Doctor refused at first even under torture ultimately Dalek X was able to gain his co-operation by threatening a young woman and her daughter. Once the Daleks had gained access to the Threshold they would control the very time vortex itself and use it to wipe both humanity and the time lords from existence. Ultimately the Doctor was able to stop them however with the aid of the bounty hunters many of whom gave their lives he was able to causes an explosion on the planet Hurala where the Daleks base was by rigging the silo to explode. Unfortunately as there was no way to override the safety ride someone had to stay behind to do it manually. One of the Bounty hunters named Bowman agreed to do it despite protests from Koral his companion who was in love with him. Fortunately the Doctor using the TARDIS was able to rescue him just before the base exploded which destroyed the entire Dalek fleet. The Doctor then sealed the threshold and the Daleks base on Archeon was overrun by the earth forces. Hurala was quarantined off by humanity due to the radiation levels caused by the explosion. Dalek X meanwhile had survived the blast but was badly damaged. The Doctor visited him telling him that the Daleks had lost and that by the time the human quarantine had finished he will be long dead and no one will be able to find him. Dalek X nevertheless assured the Doctor that he will return and that when he does he will find the Doctor. The Doctor simply responded that he would be waiting. After the loss of Dalek X and the Archeon threshold the Daleks finally surrendered to humanity and the war was over. The Daleks completely withdrew from Earth’s galaxy and retreated across the cosmos. They also abandoned their home planet Skaro. Skaro had long since lost the ability to travel through space by itself as the motor that did this had broken down. The Thals wished to return to Skaro but unfortunately for them the planet was once again quarantined by the earth empire. Though the losses were big for the Daleks it was not a total defeat as they still had many planets and even whole solar systems under their control. Gradually over the years they would begin to build up their empire again in systems long beyond earth’s reach. They were cautious about launching another attack on the earth however. Even though earth had been weakened it still had so many allies and the Daleks did not wish to waste more resources on them until the time was right to strike. An opportunity soon presented itself when a new form of space plague began to spread throughout humanities colonies. The Daleks were completely immune to this plague, whilst humanity struggled to find a cure. Eventually mankind discovered that a substance known as parinnium could cure the Plague, but unfortunately it was so rare it was practically non existent on every planet in the known galaxy except for Exxilon. Exxilon had been a planet that people had been terrified to venture too since mankind had first journeyed out to the stars. According to the old legends no one ever returned from this mysterious unknown planet. Nevertheless an earth expedition would soon be sent there to retrieve the parrinium which earth satellites had discovered was on the planet from space. Upon landing on the planet the earth expedition was soon drained of all power and they were attacked by savage, hooded creatures. The Daleks meanwhile having found out that the humans had wanted the parrinium landed on Exxilon too. They wished to steal the Parrinium and then launch a plague missile on the planet that would destroy all life on it and prevent mankind from ever landing there again. The Daleks would then use the parrinium the only known cure to the plague that was threatening to kill billions of people across the entire galaxy to hold the earth empire to ransom and force it to surrender. As soon as the Daleks landed they found themselves affected by the same power drain that had stranded the earth ship. Not only was their ship similarly stranded, but their weaponry was totally drained. Thus completely helpless the Daleks were forced to work alongside the humans and also the Doctor who had also landed on the planet by accident and whose TARDIS had similarly been affected by the power drain. On the planet Exxilon the Doctor is forced to work alongside his greatest enemies. Eventually the Daleks were able to overcome the power drain by replacing their dead laser weaponry with machine guns These machine guns allowed them to slaughter the native life forms the Exxillons on mass and enslave both them and the humans forcing them both to mine for parrinium and bring it on board their ship. The Doctor and his companion Sarah Jane Smith meanwhile met up with a friendly group of Exxilons led by an Exxilon called Bellal. Bellal explained to them that the Exxillons had once been an advanced race but their time came when they built a city that was alive. The city turned on them and very nearly wiped them out. They split into two factions. One who worshipped the city as a God, the savages and the others, Bellal’s group who sought to destroy it and free their planet. Bellal also told them that the City was the source of the power drain The Doctor and Bellal ventured through the city braving all of its traps and hazards (including two zombies that the city created to attack them), and managed to disrupt its brain causing the whole city to melt. The Daleks had also destroyed the beacon too and thus the power was restored. Now at full power the Daleks revealed their true plans and took off preparing to launch their plague missiles at the planet. Fortunately however a member of the earth expedition stowed away on board their space ship and activated one of their own bombs destroying the ship before it could fire its missiles. Sarah Jane revealed to the Doctor that she had already stowed the parrinium on board the earth ship anyway. Mankind was able to cure the plague and the Daleks having lost their tactical advantage once again retreated across the stars. As the Daleks kept expanding into deeper space the monsters soon came into contact with an enemy who could match them. The Movellans. The Movellans were a race of ruthless machine creatures every bit as bad as the Daleks. They sought to conquer the galaxy too. Being just as advanced as the Daleks when the two races faced one another they were so perfectly matched they were literally unable to harm one another. Due to the fact that both races relied solely on logic every time one battle computer tried to launch an attack the other’s would logically find a way to block it. Thus centuries passed without a shot being fired. As the Doctor put the Daleks and the Movellans two of the most vicious and ruthless races in the universe had found the solution for eternal peace. What happens when an unstoppable force meets an immovable object. The Daleks and the Movellans where locked in a stalemate for centuries. The Daleks soon sought help from the most unlikely of sources their creator Davros. Davros had in fact survived his extermination from centuries ago. The Emperor had in fact been aware of this for many years. Having kept the old records from the Kaled bunker on Davros’s life support machine the emperor was aware that it had merely placed him into a state of suspended animation and that he could be revived at any point. He had kept this knowledge secret as he believed that the Daleks may have use for their creator at some point. Now was the time. The Emperor hoped that Davros could perhaps break the stale mate for the Daleks as he did not rely on logic or that he could perhaps re condition the Daleks so as not to be so dependent on logic. The Daleks quickly headed for Skaro. A Dalek task force was able to make its way past the human quarantine and land on the surface of the planet with several humanoid slaves. They begin to dig to where the remains of the old Kaled bunker had been. Unfortunately for the Daleks not only had a team of Movellans anded on Skaro, but once again their archenemy the Doctor arrived at this vital moment for them. This was the 4th Doctor alongside Romana a time lady. Together they were able with the aid of some Movellans and an escaped Dalek prisoner to find Davros first before the Daleks by making their way down a massive shaft the Daleks had dug. Davros came to life as the Doctor entered the room. With his life support machine having finished regenerating his organs and now he was ready to live again. 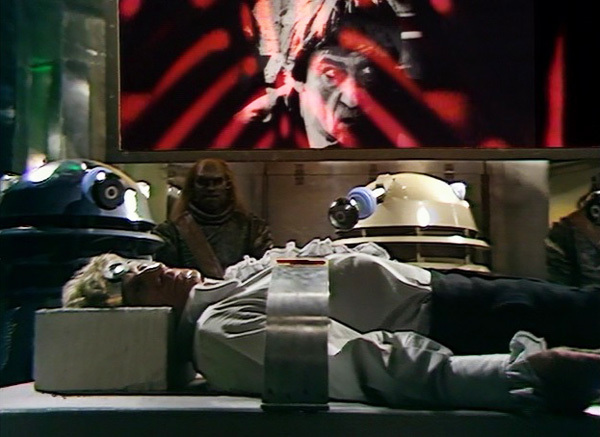 The Doctor tried to get Davros away from the Daleks, but the Daleks began killing their own prisoners forcing the Doctor to hand Davros over to them, though the Doctor was able to negotiate the release of their prisoners. The Doctor discovered what the Movellans really were and how they had planned to destroy Skaro in order to prevent the Daleks from gaining the advantage. They also hoped to capture the Doctor and use him to help them break the stalemate with the Daleks as well. The Doctor however was able to beat the Movellans by using the freed Dalek slaves to attack them. Though a highly advanced race the Movellans were easy to beat in hand to hand combat and thus the humans in a one on one fight overpowered them relatively easily. Davros meanwhile growing paranoid about the Movellan ship sent a squad of Daleks to blow themselves up when they reached the ship. The Doctor however made his way to where Davros’s base was where after killing the Dalek that guarded him he forced Davros to activate the bombs before the Daleks reached the ship destroying them. The humans subsequently left for the earth empire in the Movellan ship with Davros as their prisoner. Davros was put on trial by the earth empire for his crimes against all of sentient life for creating the Daleks. He was eventually found guilty and frozen. The Daleks meanwhile would continue their war with the Movellans for another 90 years. Eventually the Movellans where ironically able to work out a logical solution to the problem by creating a virus that attacked the Dalek mutants. The entire Dalek fleet was wiped out in an instant by the plague and their empire crumbled virtually over night. The second Dalek empire had come to an even more dismal ending than the first and the Daleks were forced to flee from the Movellans altogether in order to avoid being driven to extinction. The last few Daleks left alive led by the Emperor and the Supreme Dalek soon regrouped and tried to find a way to survive and recover from their humiliating defeat. In the next chapter we will look at how they came back stronger than ever as well as the power struggle between the Emperor and Davros. Forgot about this second part. I really like the variety of illustrations you used. To me, there’s something just so ridiculously awesome about Daak, a character with his roots obviously in American grim’n’gritty 90s, with the Daleks, who obviously have their roots in British 60s “kiddie” sci-fi.